UU A Way Of Life: Will UUs accept just anything? Will UUs accept just anything? If we are to accept one another in our congregations and in the world it presumes that we know them. 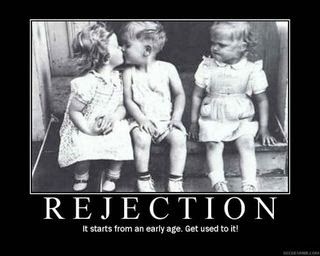 The opposite of acceptance is, of course, non acceptance or rejection. If Unitarian Universalists will accept just anybody it might make one wonder if they have any standards, if they are about anything, or does just everything go? This not standing for anything may be one of the reasons the denomination remains so small. Why would anyone want to be a member of an organization that accepts everybody? As Groucho Marx supposedly said, "I wouldn't want to be a member of any club that would accept someone like me." "Acceptance", of course, doesn't mean anything goes in UU congregations even if that's what the third principle says. It means, I think, that we accept the inherent worth and dignity of every person even if we don't accept every behavior, thought, and opinion. There is an important distinction we can make between validation and agreement. We can come to understand how people might believe and think certain things, and feel certain ways, and behave in certain ways, but we don't have to agree with it. I might say for example, "Given the circumstances, your upbringing, your temperament and personality, the incentives that motivate you, I can understand how you'd think that, feel that, do that, but I don't agree with those thoughts, feelings, and behavior." What people want more than anything is validation, to feel understood, paid attention to, listened to. They don't necessarily want people to agree with all their thoughts, feelings, and behavior, because like Groucho Marx the person might lose respect for the other who went along with their cockamamie thinking and behavior. Two of my favorite bumper stickers read, "Don't believe everything you think", and "Just because you can, doesn't mean you should." Martin Luther King, Jr. said he never intended to change the attitudes of a racist, he just wanted him or her to act right. It is not true, as far as I know, that Unitarian Universalists will accept anything in spite of what they profess. Are they liberal? Yes. Are they freethinkers? Yes. Do they require an assent to a creed? No. Overall, the guiding principle of Unitarian Universalism is Love. What would Love have us do? While Love would have us do some things, Love doesn't accept just any old thing. Unitarian Universalists, I hope, have some standards. Even though Groucho doesn't want to belong to any club that would have someone like him, UU might accept him if he cleans up his act and and desires to become the person he believes Love is calling him to become instead of simply saying, "I have given up because I'm not good enough so don't expect anything from me."